About 500 miles east of the Philippines lies the Republic of Palau. Palau became independent in 1994, after being part of a United Nations trust territory administered by the US for 47 years. As with many other countries in the Pacific, the country relies on considerable financial aid from the US, provided under a Compact of Free Association which gives the US responsibility for Palau's defense and the right to maintain military bases there. An important issue that negatively affects Palau's investment climate is the uncertainty over land titles and land rights. 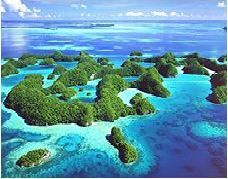 Foreigners may only lease land in Palau for up to 50 years and a further allowable extension for up to 49 years. However, land ownership disputes are very common. The Palau Land Registration Act requires that all lands in Palau, private and public, be surveyed and registered in the country's Land Court. But a mere eight to ten percent of the land area was registered as of mid 1990s, and there are still ownership disputes even over these registered lands, i.e., whether these lands are individually owned or are owned by clans. Landlord and Tenant Law: n.a.